Vantage may collect various types of information, both personal and non-personal, through our services and websites from your usage of our services and your entry of information on our websites. We may obtain information about you from our websites and other forms you submit to us, from your transactions and dealings with us and others, and from other sources. “Personal information” means information that identifies you personally and is not otherwise available to the public. It may include private financial information. Personal information is only collected based upon your choice to provide it to Vantage through our services and websites. You have the option to choose not to provide personal information not us; however, the lack of such personal information will typically prevent Vantage from providing the requested services to you. “Nonpersonal information” means general information that does not directly identify you. When you browse Vantage websites, we may automatically collect non-personal information such as your IP address, device information, browser, internet connection speed, past web pages visited, and your link selections on our various website pages. This information may be used to (1) manage and protect our websites, products, services, and users from fraudulent, abusive or unlawful uses; and (2) help us research, develop, and improve our websites, products and services. This type of information may also be aggregated or otherwise rendered anonymous for business and marketing uses by us or by third parties. In some circumstances, we use third-party companies, agents, and contractors to perform services on our behalf, such as website optimization, email distribution, processing credit card transactions, infrastructure and IT services, background screening, and other data processing or handling functions. In the course of engaging these third party services, Vantage only shares your information to the extent reasonably necessary for the third party to perform the services on our behalf. We do not permit these third parties to use or disclose your personal information except for the purpose of providing the services we request of them. 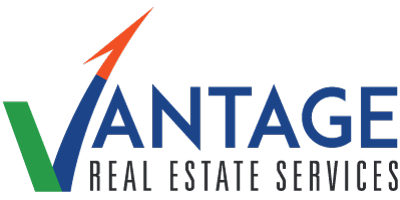 However, please note that Vantage does not maintain control over the privacy policies and practices of any third party companies, agents, or contractors. Vantage also reserves the right to disclose user information if we reasonably believe that such disclosure is necessary to (1) satisfy any applicable legal or regulatory requirement, (2) to respond to a governmental request, (3) enforce Vantage Terms and Conditions or investigate potential violations thereof, (4) to protect against fraudulent, malicious, abusive, unauthorized or unlawful use of Vantage products, services, and websites, or (5) to protect our rights or property, or the safety or security of our customers, employees or data. If Vantage enters into any business transition, restructuring, merger, sale, or other transferring of assets, we reserve the right to transfer user information, including all personal information, as part of or in connection with the transaction. Vantage implements and maintains physical, administrative, and technical safeguards designed to secure user information and prevent unauthorized access to or disclosure of that information. Under our security policies and practices, access to sensitive personal information is authorized only for those who have a business need for such access, and sensitive records are retained only as long as reasonably necessary for business or legal purposes. Vantage strives to protect the user information that we collect and store, however, no security program is 100% secure and we cannot guarantee that our safeguards will prevent every unauthorized attempt to access, use, or disclose personal information. When you access our websites, products, and services, Vantage servers may place small text files (“cookies”) on your computer for recordkeeping purposes. Among other things, cookies enable Vantage to gather information about your activity on our websites, products, and services for the purposes of improving your online experience, remembering your preferences and settings, delivering advertising to match your preferences and interests, and for other similar customization purposes. In addition to cookies, Vantage may utilize web beacons, clear gifs, or other technologies built into our websites, products and services to gather information on how users interact with and utilize various features. These technologies can help personalize your Vantage usage experience and help associate your interactions with our products and services to other information within your account. For example, these technologies can identify popular pages, viewing patterns, click-through, conversion rates, and other information that can be used to improve, monitor, and operate our websites, products, and services. Most internet browsers provide controls that allow users to manage or disable the placement and usage of cookies on their computer. Please note that disabling cookies may deactivate or otherwise restrict certain features on Vantage websites, products, and services. Vantage does not target children under the age of 13 for the collection of information online. Our products, services, and websites are not designed to attract the attention of persons under the age of 13. Vantage websites, products, and services may include the option of integration through third party social networking sites and related social media plug-ins or applications. When you integrate or link our websites, products, and services with your social media applications (e.g., Facebook, LinkedIn, Twitter, Instagram, etc. ), you authorize Vantage to have access to certain information from your social media profile (e.g., name, e-mail address, photo, gender, birthday, location, your list of friends, comments, etc.) to deliver the content or as part of the operation of the integrated application. We may also obtain non-personally identifiable information (e.g., content viewed, advertising viewed, etc.) from your interaction with our integrated content. Your use of the Vantage websites is also governed by our Terms and Conditions.